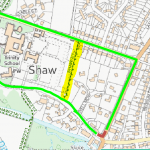 The footpath on the corner of Church Rd and Shaw Hill will be closed between the 15th & 19th April, to enable telecommunications works can be carried out. 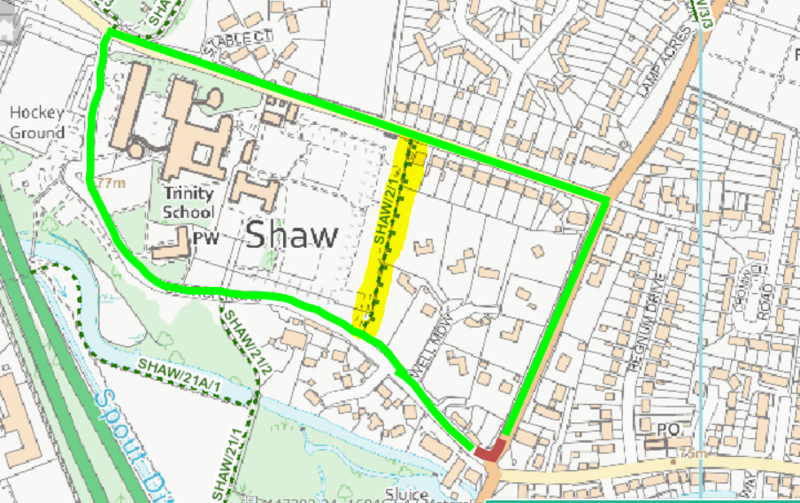 It is envisaged that the closure will be approximately 60 mtrs in length (30mtrs from the apex of the corner each way) Thus, the alternative route for pedestrians affected by this closure will be via the footpath along Church Road into Love Lane and then into Shaw Hill, and vice versa. There is a shorter route from Church Road via Shaw footpath 2 into Love Lane, this follows Shaw House eastern boundary, but please be advised that this an unmade path, and therefore deemed unsuitable pushchairs, prams, and persons that may be unsteady on their feet.